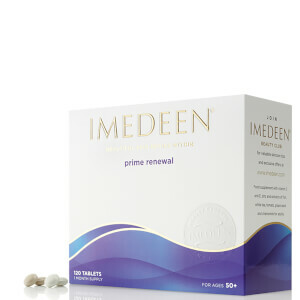 The Imedeen Prime Renewal 3 Month Supply Bundle has been carefully curated to help to manage the effects of hormonal ageing. Enriched with a cocktail of active ingredients, the tablets work to protect and preserve so you can enjoy longer lasting suppleness. 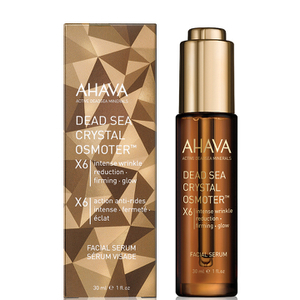 Helps manage the effects of hormonal ageing. The food supplements provide a quality defence system which protects against damaging external aggressors. 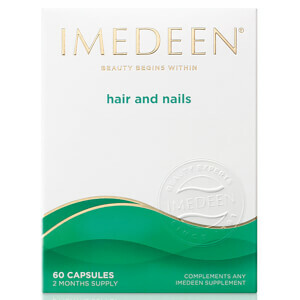 Combining a range of active ingredients, Imedeen's exclusive Marine Complex is enhanced with Soy extract and Zinc, plus advanced protection complex Vitea - a blend of White Tea, Lycopene and Grapeseed extract. It preserves and revitalises the collagen and elastin content of skin for improved skin density and suppleness. 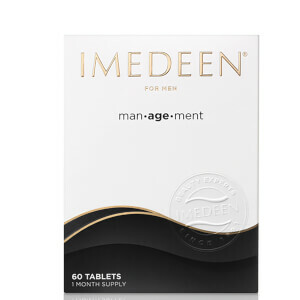 Recommended daily dose for adults aged 50 and above: 4 tablets per day, 2 tablets in the morning (sun sachet) and 2 tablets in the evening (moon sachet), preferably taken with a meal. Maltodextrin, Fish Extract, Soy Fibre, Sodium Ascorbate, Anti-Caking Agents (Silicon Dioxide, Mono- And Diglycerides Of Fatty Acids), Modified Starch***, White Tea Extract (Camellia Sinensis (L.) Kuntze), Zinc Gluconate, Glazing Agents (Methyl Cellulose, Shellac, Talc), Camomile Extract (Matricaria Recutita L.)***, Tomato Extract (Lycopersicon Esculentum Mill. ), Grape Seed Extract (Vitis Vinifera L.), DL-Alpha-Tocopheryl Acetate, Humectant (Glycerol), Sunflower Oil, Colours (Titanium Dioxide, Ammonia Caramel).